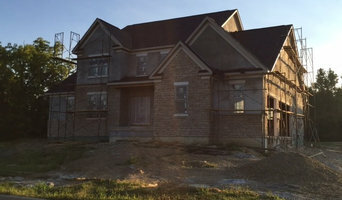 Brown Builders is a premier service provider for custom homes, semi-custom homes and residential or commercial remodeling projects in Central Ohio. If you can dream it...We can build it! Brown Builders is a second-generation provider of residential construction and remodeling services with over 25 years of industry experience. Home building is as much a part of our lineage as it is our daily focus and we pull from a lifetime of knowledge to consistently deliver beautiful, functional results. As a family oriented business, we place a great deal of importance on delivering unparalleled customer service that surpasses today’s standards. We achieve this with professional, friendly communication and collaboration throughout every phase of our design and development process. We offer professional consultation, design, and architecture. Whether you have a specific vision or a blueprint our talented designers will create customized plans to envelope your every want and need. 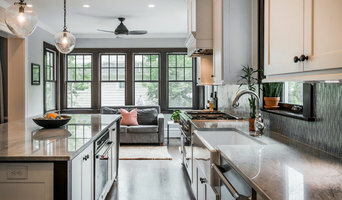 Winkelman Design has been remodeling Columbus homes for thirty-five years with a particular focus on the diverse homes of Clintonville; as well as Upper Arlington, Bexely, Dublin, and Worthington, and the architecturally specific neighborhoods of German Village and Victorian Village. We do quality remodeling with a focus on detail. We specialize in finding solutions to making your existing home fit your present needs and lifestyle, as well as planning for future growth as your lifestyle changes. We will gladly help with minor maintenance items or redo that bathroom or kitchen you've always wanted. But we have also successfully created and executed up to ten-year plans for clients staging their renovations so they met both their family needs and their financial means. We are licensed, bonded and insured. We are adept at working with neighborhood architectural revue committees as well as local building departments. We create all our own plans and drawings for all our projects so that you can clearly see exactly how things will look. We are a small company so we can give personal attention to your project. Leo Winkelman personally does all consultations as well as all the designs. He also personally supervises all projects. When you hire us, you get us. We still do much of the work ourselves and we also have great subcontractors who have worked with us for years. Our remodeling crews are professional and courteous. We take great pride in keeping a neat, clean, and tidy job site keeping the impact on the rest of the house to a minimum. We are great with pets and children and are respectful of your privacy. We never forget that where we work is not just a house, but it's your home. We are very open with our pricing, itemizing all components so you know exactly what everything costs, even our overhead and profit is spelled out. We try to take the mystery out of remodeling bids so you can compare costs in a straight up fashion. We are also very adept at designing within your budget to give you the most work for what you can afford. We hope you give us an opportunity to meet with you and help you with your remodeling needs. Call and set up an appointment today, the consult is free. 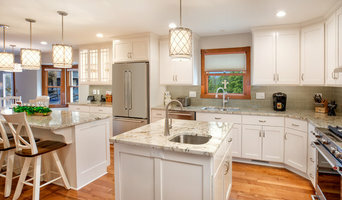 Residential remodels, renovations, and home modifications. We service all your handyman services needs. Cornerstone Construction & Remodeling, Inc.
Our mission since 2005 has been to provide you with superior quality construction services. We dedicate ourselves to achieving harmony between our understanding of your vision and our presentation of design ideas, based on our body of work experience. We want your overall design-build journey to be collaborative, inspired, and fully satisfying. Franklin County's Leading General Contractors - Best of Houzz 2018! Choosing a contractor does not have to be stressful but it does need to be a good fit. At Urban Upkeep LLC, we will work with you on design, pricing, and the scheduling for your project. To us it is about more than numbers, it's a partnership to fulfill you and your family’s needs and dreams for years to come. Many companies have “their” own idea of what your house should be; here at Urban Upkeep LLC we are interested in what you want based on layout, functionality, and how you want to make use of the space. We feel any project we undertake is more of journey than a job, that is why it's important to select a company that sees what “you” want and how you live in your home. Simply put we are professionals that care about you and the home you live in. SO, if you are ready to take the first step please contact us so we can help you get started. 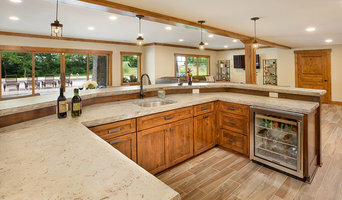 All In Wood Construction, Inc.
We are a full-service general contractor and custom builder/remodeler. With our in-house mill shop and experienced carpenters, we are able to create the perfect living spaces for you and your family. We have built a solid reputation of customer satisfaction while serving the Central Ohio area for over 30 years. Financing Available: No Money Down! We are a licensed bonded and insured general contractor specializing in kitchens and bathrooms. We provide in-house granite fabrication and supply quality cabinetry directly to you or your contractor! GTF Construction Concepts is a full-service general contractor, specializing in the insurance repair industry. Our services encompass the assessment and repair of property damage caused by fire, smoke, water, weather, vandalism, vehicle impact, etc. We also provide comprehensive residential & commercial remodeling services, custom cabinetry and furniture. General, or construction contractors, are often known as project managers. They oversee the entire remodeling or new home construction project and facilitate all day-to-day tasks that move it toward completion. A Brice general building contractor will work with your architect to review plan as you build a house and ensure everything is in place before work is started as well as arrange for permits and necessary inspections. While good local home improvement contractors in Brice will have the skills to handle certain tasks onsite, such as carpentry, he or she is also responsible for hiring subcontractors for the majority of jobs, such as electrical work, painting or plumbing. In addition, the general contractor should be on-site regularly to inspect the progress and resolve issues. Here are some related professionals and vendors to complement the work of general contractors: Architects & Building Designers, Interior Designers & Decorators, Landscape Architects & Landscape Designers, Kitchen & Bath Designers, Specialty Contractors. Home remodeling contractors are a must for successful completion of a renovation. 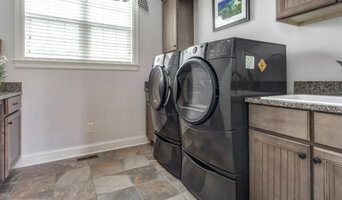 Because of this, it's essential that you do your homework before deciding on the right general contractor in Brice as you remodel or build a house. Inspect bids carefully. Was it ready when the contractor promised it? Was the bid for building a home unusually high or low? Each of these things can be very telling: A late bid may reflect timing standards, and an off-the-mark bid could be code for a pricey premium or a deliberate underbid to score the remodeling job. You should call references, carefully read reviews and visit completed projects in Brice, OH to see if they’re what you expect for your job. Once you do secure your local Brice contractors, read the contract very carefully to be sure everyone is on the same page. Find a Brice contractor on Houzz. Narrow your search in the Professionals section of the website to Brice, OH home contractors. You can also search for photos in Brice, OH and contact the Brice general contractor who worked on the project.